In its Global Strategic Trends – Out to 2040, the UK Ministry of Defence, Development, Concepts and Doctrine Centre (DCDC), underlined that “resource and the environment” was one of the major dimensions shaping the future. Notably, the highly likely growing resource scarcity would lead to strengthened interest in what they call “Extreme Environments” – i.e. the deep sea, space, the Arctic, Antarctica and the deep underground – and in their exploitation. Here we shall progressively explore the future security components of those extreme environments, understand what they entail, how they could interact with and modify other issues and the futures we foresee, as well as impact actors, as both opportunities and threats. Regular scans on specific issues are mentioned in the related sections below. 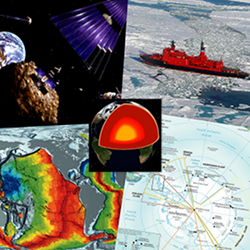 See all Arctic related in-depth articles. 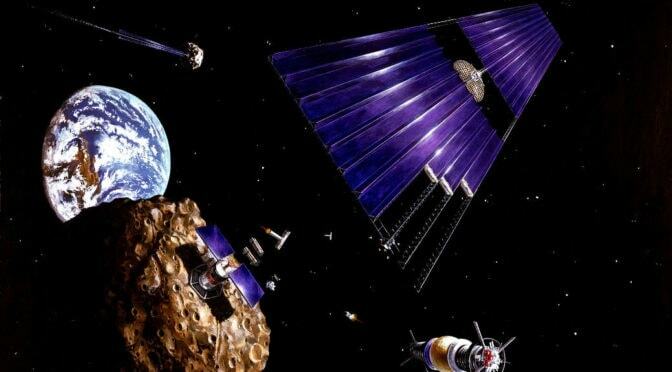 An asteroid mining mission to an Earth-approaching asteroid by Denise Watt, NASA, public domain via Wikimedia Commons. Earth seafloor crust age 1996 by NOAA, http://www.ngdc.noaa.gov, Public domain, via Wikimedia Commons. Nuclear icebreaker “Yamal” on its way to the North Pole By Wofratz (Own work) [CC-BY-SA-2.5 (http://creativecommons.org/licenses/by-sa/2.5)], via Wikimedia Commons. Map of Antarctica from en:Image:Antarctica.jpg – Political map and research stations (2002) – CIA – Public domain. Blender3D_EarthQuarterCut.jpg by SoylentGreen, Earth-Texture is from NASA) [GFDL (http://www.gnu.org/copyleft/fdl.html) or CC-BY-SA-3.0 (http://creativecommons.org/licenses/by-sa/3.0/)], via Wikimedia Commons.